A web directory for startups by a startup? Sounds interesting. 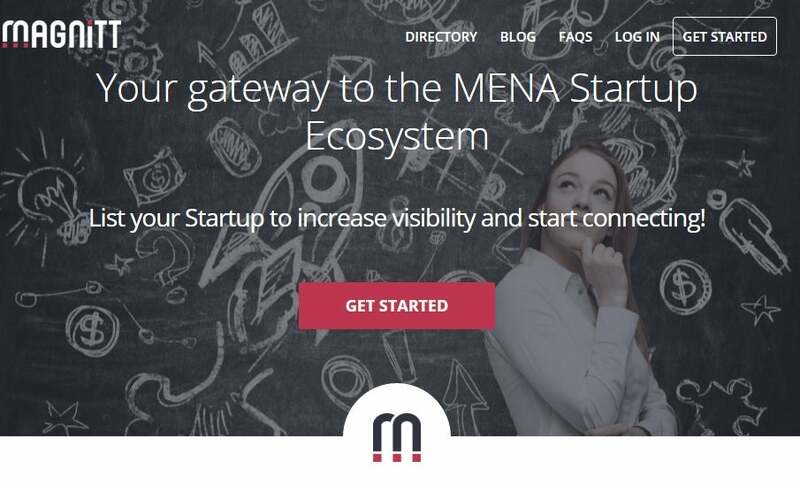 While much of the focus of the respective MENA entrepreneurial ecosystems is on a local level, MAGNiTT’s vision is broader, in that it is regional. But developing a MENAwide platform like MAGNiTT was not an easy feat. After designing the platform using “lean methodology,” Bahoshy then moved on to two primary focuses: having user-friendly mechanisms to filter through startups from the region, as well as to funnel information in a consistent manner. That said, the founder is focusing on raising funds this year to grow the MAGNiTT team. So far, the costs have been allocated to the website’s development- and it’s all been bootstrapped to date. A beta version of MAGNiTT was released with limited access, something that Philip Bahoshy found very helpful in hindsight. “This allowed us to improve and tweak the platform before opening it up to the public,” says Bahoshy, who also says that it helped him make an important decision: MAGNiTT will be a mobileresponsive website, rather than a platform that’s both a desktop website and an app. Going forward, there is still much more that he wants to add to MAGNiTT. Over the next few months, we can expect some small but significant tweaks, including “improved” profile pages, funding sections, and a more comprehensive startup directory as well. There are more plans for MAGNiTT in the long term as well: Bahoshy wants to add more services for startups, including legal, marketing, and even HR. Also, startups will be able to pitch to VCs via video on the platform. 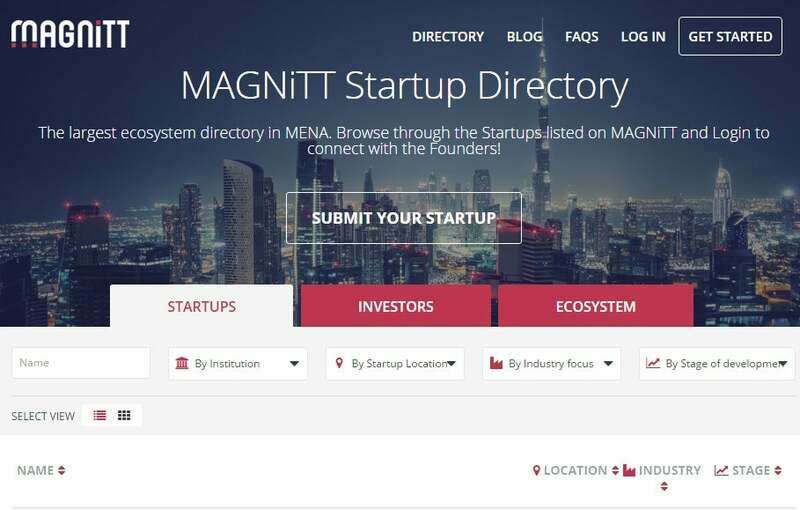 On an editorial note, MAGNiTT will launch a blog, which Bahoshy hopes will become a valuable resource for entrepreneurs, as well as research reports on the different markets and entrepreneurial ecosystems in the MENA region. As for making money off MAGNiTT, Bahoshy says he plans on two approaches to go about that: a subscription model for users that charges a premium for additional information, as well as advertising revenue from service providers that can support startups based on their specific needs and requirements. MAGNiTT’s marketing game plays on several fronts, but “social media is key” to the platform, according to Bahoshy. The startup is active on Facebook, Twitter, and LinkedIn, and it has used social media to directly interact with startups. The founder also says that social media has been a good tool for “education,” both for startups and other key stakeholders in the entrepreneurial ecosystem. 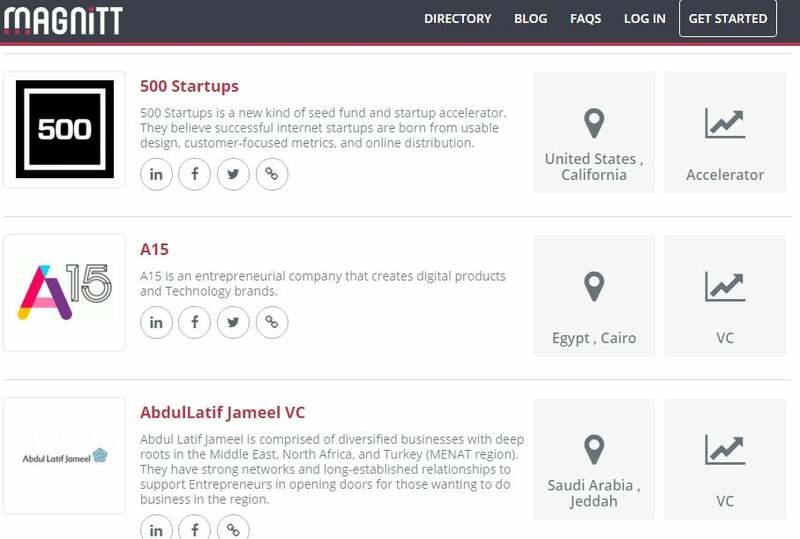 Bahoshy has also been attending startup conferences across the MENA region to reach out to startups, accelerators, VCs, and incubators, including the recent RiseUp and STEP conferences.